Ending an 11-year major drought, the 43-year-old American superstar seized his first major title since the 2008 US Open. Golf ace – Tiger Woods completed an epic comeback from career-threatening injury and scandal by winning the 83rd Masters on Sunday, capturing his 15th major title with an unprecedented back-nine rally. Ending an 11-year major drought, the 43-year-old American superstar — who underwent spinal fusion surgery in 2017 due to chronic back pain — seized his first major title since the 2008 US Open. President Donald Trump and Barack Obama were among those hailing Woods on social media after registering a thrilling and emotional Masters victory on Sunday. “Congratulations to @TigerWoods,” tweeted the US president Trump, who played a round of golf with Woods earlier this year. “A truly Great Champion!” “Congratulations, Tiger!” former president Obama tweeted. Aged 43, Woods became the second-oldest Masters winner, trailing only Jack Nicklaus who won 46 in 1986. “A big ‘well done’ from me to @TigerWoods!,” said Nicklaus on social media. “I am so happy for him and for the game of golf. 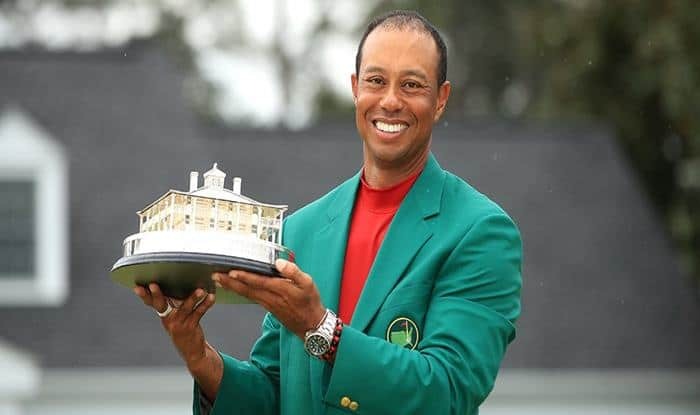 This is just fantastic!” Woods also set a record for the longest gap between Masters triumphs, the 14 years since his last win in 2005 eclipsing the old mark set by South African Gary Player who won his second Augusta crown in 1961 and his third in 1974. “Congratulations Tiger. So special for you and your family. So great for the game of golf. Simply unbelievable.” Other US Sports stars were quick to join in on Twitter. “Greatest comeback story in sports!” said three-time NBA champion Stephen Curry. “Congrats @TigerWoods Let me hold one of those 5 jackets one time!” Woods finally found time to respond to all his well-wishers late on Sunday night. “This jacket sure is comfortable.